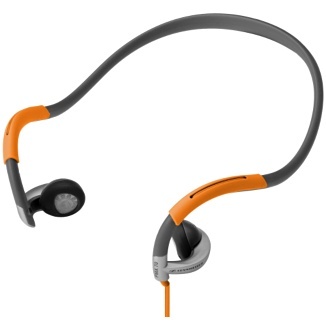 Sleek and sporty, the PMX 80 Sport II headphones are rugged enough to withstand your toughest workout. They’re the perfect choice if you prefer a neckband-style fit. The PMX 80 Sport II headphones give you the optimum fit and comfort of an ergonomic neckband and vertical transducer system. Their sweat-proof materials are built to handle indoor and outdoor sports with ease.